One of Sydney's oldest suburban rugby clubs. 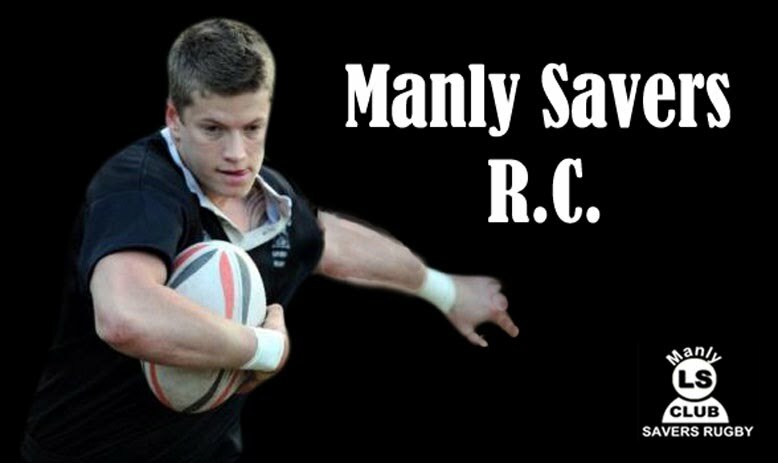 The Mighty Manly Savers were founded by members of the Manly Life Saving Club in 1909. The club has enjoyed plenty of success on the field, most recently winning the Meldrum Cup Premiership in 1983, 1994, 1998, 1999, 2003, 2004. In both WW1 and again in WW2 all able bodied members of Manly Life Saving Club, including all Savers players, volunteered to serve for their country, some giving their lives. The Savers have had over 100 years of proud history with the likes of Wallabies, Olympic athletes and war heroes gracing their ranks. All who have donned The Mighty Savers black jersey over the years are drawn to the club for its comradely and unique spirit for which it is renowned. Speak to anyone in Manly and chances are at some time or another their father, their brother or maybe even their lover has played for The Savers. Come down to play good rugby, get fit and have a tonne of fun while making life long mates. Every Wednesday 6:30 PM and Saturday morning. We play on Manly beach at the end of the Corso opposite the Steyne Hotel. Pre-Season Training will begin mid Feb.
Trial game to be held in March. Date TBC. A bus will be provided to transport players to the game. It's a great opportunity to blow out the cobwebs, get to know your team mates and Shoot the Boot. Contact Us for more information. Season Start. End of March / early April. Date TBC by union. Season Training. Every Wednesday at Kierle Park at 6:30pm sharp.Savers understand that people have other responsibilities outside of rugby, so we keep our trainings short and sharp and we are normally finished up by 8:00pm. Monday Night Winter Touch Comp. Savers enter a couple of teams in the local Touch Rugby and TRL league. . The Home Ground - Where we train and play.